When did Timothy begin to learn the scriptures? Conversations by Jean-Pierre Hallet as told to Senior Editor Herman L. Hoeh Perhaps only a few times in a generation do men of courage rise who spend their lives for others. 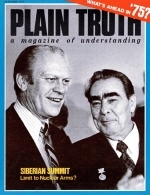 In this issue of the Plain Truth, we open up to our readers the concerns and the dedication of a man of that stature, who at this moment is at his work of saving a people. He is Jean-Pierre Hallet, explorer and author. And the people about to perish, for whom he is spending his life and physical energies, are the Pygmies of the Ituri Forest in the heart of Africa. Jean-Pierre Hallet has been a reader of the Plain Truth for three years. We can do no less than present to our multiple millions of other readers around the world his story with these beautiful and revealing, photos. Here are his own words from conversations with us: As a child, I was fortunate to grow up in Africa with the physically small people called Pygmies. Back then, in the 1930's, there were about 35,000 of these healthy, delightfully happy and highly expressive people, as exemplified by the young man playing here the five-string Pygmy bow harp.